What to Remember When Replacing a Remanufactured Laser Toner Cartridge | TonerGreen - Eco-Friendly Toners from the U.S. When you have a printer and you supply it with remanufactured laser toner cartridges, you may have already seen how big your savings can get from your printing costs. However, you cannot deny the fact that these things are still consumables so you need to replace them as soon as possible. But what if you have troubles with changing your remanufactured laser toner? How can you feel confident about taking these cartridges off and placing new ones? While the process of replacing printer cartridges can be easy, there are times when you get bad quality prints because you accidentally did something wrong in installing the supplies. So it is best that you know everything about this procedure to avoid wrecking your printer and its parts too. First, you should know the right signs before you actually purchase new printer cartridges. A good example could be the fading of your printouts since this means that your toners are almost empty. 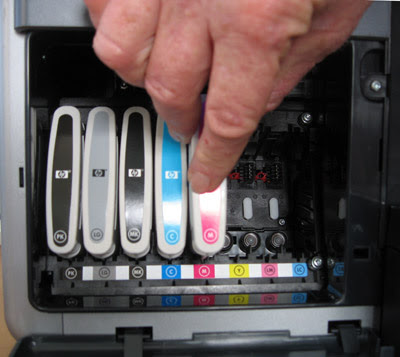 When in a hurry and you run out of toner, you can take the cartridge off then shake it lightly so that any toner left inside settles and you could continue printing. Also, remember that you need to finish your ink cartridges within six months after installation to avoid wasting some of it. Lastly, never take your cartridges off your printer unless you need to replace it since you can either damage it or lessen the content inside. Now, you don't have to worry too much about changing your laser toner cartridges or ink cartridges anymore since the guides here are enough for you to learn the proper installation of printer supplies.